How Good Are Fiocchi Shotshells, Really? A lot goes into a quality shell, a shotshell that often we take for granted. When a gun is never patterned thoroughly and when bagged game is not autopsied-- all we can know is that we don't know. Ignorance can be bliss, but that does not equate to effectiveness in the field. It starts with the primer. Senior ballisticians that I have discussed the matter with feel that Fiocchi primers are among the few consistent 209 primers available today. Choices are made during hull selection: though I know many shooters that reload Fiocchi hulls five or six times with consistent results, the focus at Fiocchi was to take the extra cost of compression formed hulls, and put it where it matters: wad, powder, and shot. Fiocchi shells are manufactured in the United States, in the Ozarks. The wads used are Baschieri & Pellagri or other premium, proprietary wads. It is a difference you can readily see if you cut open a Fiocchi shell. Fiocchi wads are made from expensive resin, and are far softer if you do a finger "compression test" compared to other wads. In a shotshell, all the important stuff happens inside the shell. The softer durometer, yet very strong wads obturate quickly, and seal instantly under all field conditions. A better wad means more consistent performance. Double-based powders are less hygroscopic than single based powders. Fiocchi uses American made double-based shotshell powders due to this lack of moisture holding ability: again, a more consistent powder for all seasons. The standard deviations from lab data show that is attention to consistency had paid off-consistent velocities directly contribution to consistent patterns, consistent leads, and consistent bagging of game and smoking of clays. Some 25 years ago, Fiocchi bought Cervo, an Italian company with the ability to produce nickel electroplated shot that most companies cannot do. The Fiocchi Golden Pheasant loads all use it. Testing proves patterns equal to and sometimes exceeding more expensive buffered loads, without additional expense. Thorough testing has shown that in some cases, not all, buffering has clogged gas ports on gas-operated semi-autos as well, though I have personally not seen it. Terminal performance is another matter, penetration being by far the most important factor as shown by Dr. Martin Fackler. The major finding among many derived from this two-year study of steel shot performance on pheasants. 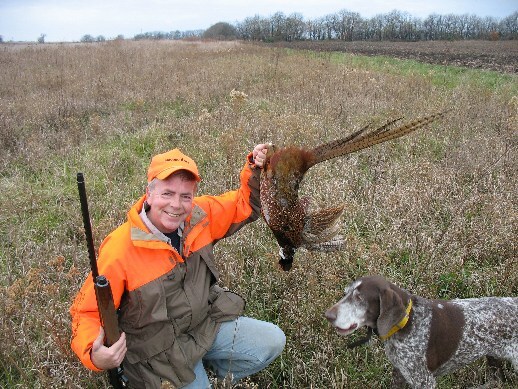 The test, conducted in fall 1997 and 1998 by the Cooperative North American Shotgunning Education Program (CONSEP), and designed and administered by independent shotshell ballistics expert Tom Roster, compared the capabilities of three different steel shot loads for taking ring-necked pheasants. The U.S. Fish and Wildlife Service, North Dakota Game and Fish Department, and South Dakota Department of Game, Fish and Parks funded the test. Penetration was the key factor that indicated clean kills-not just at long range, but at all ranges. To characterize Fiocchi nickel plated shells as having 100% of the pattern efficiency of buffered copper loads, markedly less cost, and 120% of the penetration is not far off the mark. A shotshell is a system, and no one factor can eliminate attention to the entire performance envelope. When Fiocchi developed their loads with wads that fit their hulls, powders that compliment the wads and primers, and shot types that compliment the rest of the shell and the application being discussed, the performance you can see in the field and on the clays course is not by happenstance. And here, I thought that I actually had something to do with the last 1000 wild pheasants that have been ripped out of the sky by Fiocchi shells, and the countless ducks and doves as well. Maybe I didn't have as much to do with it as I thought? There is no substitute for a quality shell, and no game bird that does not deserve reasonable attention to taking it as cleanly and efficiently as possible. When a pattern is centered perfectly on a clay bird, it is likely to break. Yet, I've always been surprised at the number of unbroken clays on the field with three or more holes in them. A couple extra dead birds means quite a lot as far as I'm concerned-it is the difference between 100 straight and just another go, and the difference between winning at sporting clays and middle of the pack. When you try Fiocchi White Rhino loads-you can see the difference, just as Josh Noble has. For me, for clays or doves in 12 ga. it is White Rhinos 7-1/2 shot. In 20 ga., it is the 1 oz. 7-1/2 shot 1220 fps shells. 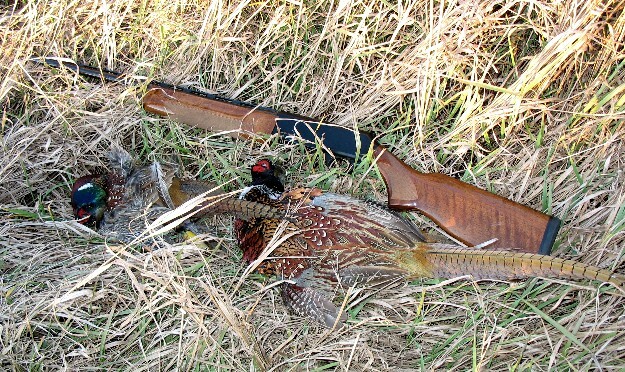 For pheasants, is invariably #5 Golden Pheasant regardless of 12, 16, or 20 gauge. I do appreciate the 16 ga. as an upland tool, and Fiocchi has the best 16 ga. line of shells out there-- thankfully so. The only problem I've had with Fiocchi loads is that demand exceeds supply, something that my friend Carlo Fiocchi has promised will no longer be the issue due to greatly increased capacity of their premium shot supply for 2007 and beyond. Fiocchi made a believer out of me a long time ago, and they will you, too. Lead means dead, and Fiocchi helps make them deader better. It's what's for supper around here.